The 2,158-acre Little Pine State Park is surrounded by a beautiful mountain section of Tiadaghton State Forest in the Pennsylvania Wilds. 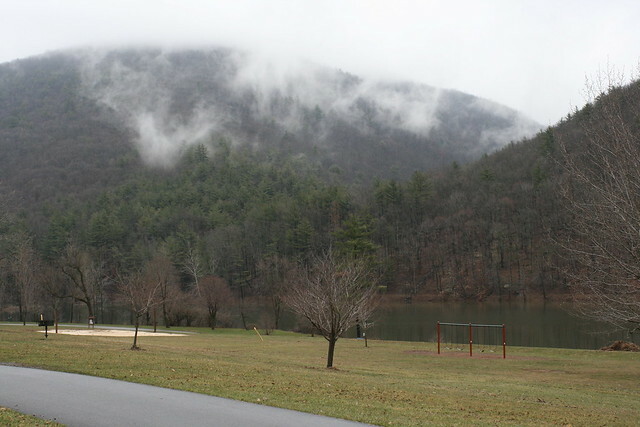 The 60-acre Little Pine Lake, hiking trails, campground, and nesting bald eagles are prime attractions to the park. The park is in Lycoming County. From the south, take US 220 to the Pine Creek Exit near Jersey Shore. Take PA 44 north 11 miles to Waterville, then turn right onto SR 4001 and go four miles to the park. From the northwest, take PA 120 south to the village of Hyner. Turn left onto Hyner Mountain Road. Take PA 44 south to Waterville and turn left onto SR 4001. From the north and northeast, take US 6 to Wellsboro, then PA 287 south to English Center and SR 4001 to the park. Environmental education and interpretive programs are offered on a seasonal basis. Field learning experiences are available to schools during the spring and fall, and teacher workshops are offered periodically. Programs are designed to meet academic standards for Environment & Ecology, but also address other areas. Guided walks, evening programs, hands-on learning activities, and craft programs are offered to park visitors in the summer season. The festival is held on the Sunday of the second full weekend in October.